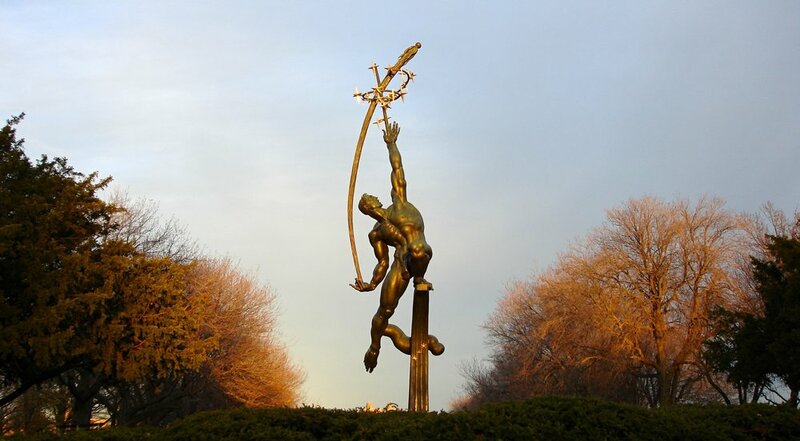 The Municipal Art Society of New York has contracted Tatti Art Conservation to restore The Rocket Thrower by Donald De Lue, which was commissioned for the 1964/65 World’s Fair in Flushing Meadows, Queens, NY. 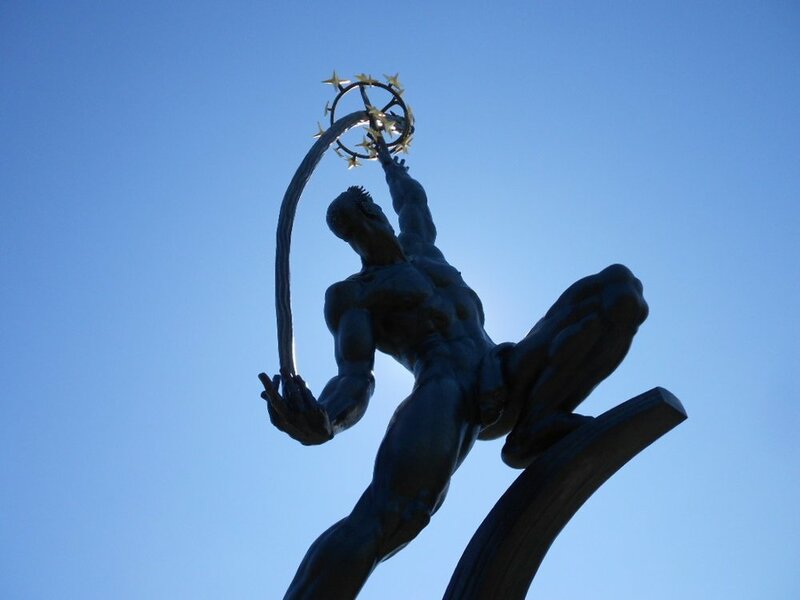 The Rocket Thrower Monument is slated for a full conservation by Steve Tatti’s and Tatti Art Conservation as part of the Municipal Arts Society’s Adopt-a-Monument program. The conservation work will include a restoration of the verdigris bronze patina, as well as an application of gold leaf to the constellation of stars and rocket. The treatment will require our crew to work under the punishing summer sun, standing on two lifts that each reach the 43’ height of the monument. First we will need to detail clean the statue to reveal the underlying verdigris patina. Once the base patina is exposed we will begin to tone and harmonize the streaked and distorted surface using a combination of mechanical and limited chemical repatination. Once the patina is blended, the team will skillfully maneuver the lifts to reapply gold leaf to the constellation of stars and rocket surrounding the figure. The process is laborious and time consuming, but the end result will speak for itself.